Solar hot water systems use the energy of the sun to heat your home's water supply. This technology is entirely renewable, and installing it can benefit both the environment and your wallet! Interested in getting a solar hot water system for your home? We can help you obtain quotes from local, reputable solar hot water installers. Click the button below to learn more. Solar hot water and air source heat pump systems installed in Massachusetts qualify for the Alternative Energy Certificate (AEC) program. With this program, solar hot water systems generate certificates based on their energy production for homeowners to sell to utilities. The revenue earned from these certificates will help you to further decrease your overall investment for solar hot water. Learn more about AECs by visiting the Mass DOER website. If you're installing solar hot water, you may be elgible for a 0% interest HEAT Loan from Mass Save to finance the projects. You can finance up to $25,000 of home energy efficiency upgrades. 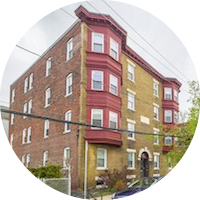 Find out more about Mass Save's HEAT Loan program. The State of Massachusetts provides a state tax credit of up to $1,000 for solar hot water installations. 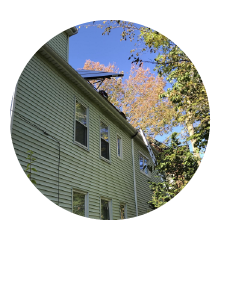 In addition, the Massachusett's Clean Energy Center (Mass CEC) provides reabtes of up to $4,500 to help lower your upfront cost of installing a solar hot water system. Learn more about this state tax credit, or read about the Mass CEC's solar hot water rebate program. Many Cantabrigians live in shared buildings. If you live in a multifamily air source, solar hot water systems are a good solution to heat your water supply. That said, there are extra considerations to take when installing this technology on a shared property. Our no-cost Retrofit Advisor can help your apartment or condo building learn more about suitable clean heating and cooling options and help you find ways to finance your project. 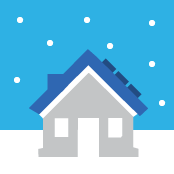 Does solar thermal work in the winter? Just like solar electric panels, your solar thermal panels will work during the wintertime. They will generate less hot water than in sunnier months, so you may have to use your backup water heater more often during cold weather. Any snow that is accumulated on the panels will typically slide off on its own when the sun comes back out. Solar thermal systems installed in Cambridge will also have freeze protection. Cambridge homeowner installs solar hot water; "Easy way to reduce our carbon footprint by using the heat of the sun!" Want to learn more about solar hot water?